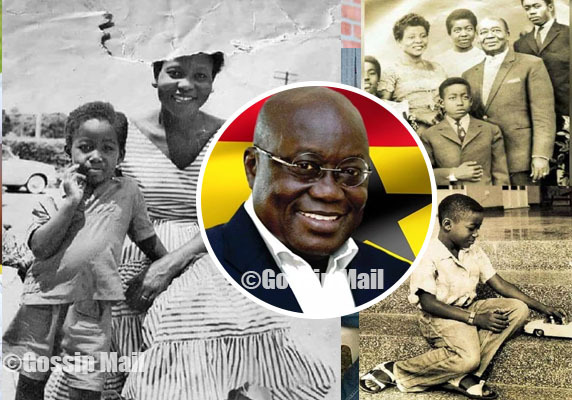 Akufo-Addo received his primary education first at the Government Boys School, Adabraka, and later at the Rowe Road School (now Kimbu), both in Accra Central. He went to England to study for his O-Level and A-Level examinations at Lancing College, Sussex. He returned to Ghana in 1962 to teach at Accra Academy Secondary School, before going to read Economics at the University of Ghana, Legon, in 1964, earning a BSc(Econ) degree in 1967. He subsequently studied law in the UK and was called to the English Bar (Middle Temple) in July 1971. Akufo-Addo was called to the Ghana bar in July 1975. Akufo-Addo stayed in France for five years as a lawyer at the now-defunct New York-based international law firm Coudert Brothers. Apart from the welcome exposure to the dynamics of international corporate transactions, his stay in France also made him fluent in French. In 1975, he returned home to Accra to continue with his legal career. He joined the chambers of U. V. Campbell from 1975 to 1979, and in 1979 co-founded the law firm Akufo-Addo, Prempeh & Co., which has become one of the prominent law firms in Ghana. Some Ghanaian lawyers who passed through his law firm are among the most outstanding lawyers at the Ghanaian bar today. They include Sophia Akuffo, Justice of the Supreme Court; Joyce Darko; Daniel Afari Yeboah; Philip Addison; Joe Ghartey, a former Attorney General and Minister for Justice; Alex Quaynor; Frank Davies; Kweku Paintsil; Ursula Owusu; Atta Akyea, Akufo-Addo’s successor as MP for Abuakwa South constituency; Akoto Ampaw; Yoni Kulendi; Kwame Akuffo; Kwaku Asirifi; and Godfred Dame. Like the “Doyen of Gold Coast politics”, J. B. Danquah, and others before him, Akufo-Addo used his law practice to champion the cause of human rights, rule of law, justice, freedom, and democracy. He was well known for giving free legal assistance to the poor and fought for the rights and liberties of the Ghanaian people. Indeed, many of the important constitutional cases of the modern era, which, inter alia, protected the independence of the judiciary, the right of the citizen to demonstrate without police permit, and the right of equal access of all political parties to the State-owned media, were undertaken by him. Akufo-Addo has served on the boards and committees of a number of political, legal, commercial, and social organizations in the country. He was the first Chairperson of DHL (GH) Ltd; Chairperson, Kinesec Communications (Co) Ltd, publishers of The Statesman; and the first Chairperson of the Ghana Committee on Human and Peoples’ Rights. He was responsible, through his association with the US company, Millicom, for introducing mobile telephony into the country.Read everything you need to know about Nana Akufo Addo in this post.